The elephant on a watercolor plain. The Bengal tiger on a grassland of oil on linen. The leatherback sea turtle scrambling an acrylic beach toward a bright light ahead. It would be easy to see this carnival of animals at the Adolfo & Marisela Cotilla Gallery at Nova Southeastern University just for the art show that it is. For nothing more than a traveling version of the Artists for Conservation’s “Green, White & Blue” exhibit,’ co-sponsored by City & Shore, on display through June 19. But the light the leatherback hatchling scrambles to reach here is an oil refinery burning bright in the night. The tiger is one of just 2,500 thought to remain in the wild. The elephant, solitary and defiant on the watercolor horizon, is being poached out of the picture worldwide for its ivory. This is more than a summer art show. “At what point do we stop the madness? If their body parts are so valuable, even in total disagreement with the use, I can’t understand why everybody doesn’t want to preserve all the species,” artist Linda Sutton writes about the elephant in her painting, Vanishing Point. The animals depicted in this exhibit, which we may admire at first for the artists’ skill in capturing the details, begin to reveal deeper, more troubling stories. Not just pictures at an exhibition, but perhaps portents of an extinction. “If we don’t act quickly, in 30 years the only place you’ll be able to spot a rhino is in a painting,” says Antonio Fins, former executive director of the Guy Harvey Ocean Foundation, which joined with AFC to bring the exhibit to South Florida. Even calm scenes – a brook trout suspended in a crystal stream by Jack Koonce, a ghost orchid in the Everglades by Boynton Beach artist Deborah LaFogg-Docherty, a watercolor hummingbird by Carole Niclasse – ripple with worries about habitat loss, deforestation, damming projects. A portion of the sale price for these works benefits conservation and relief projects – The World Parrot Trust, The Nature Conservancy, the African Wildlife Foundation, among others. But there’s more at work here than fundraising. This exhibit, suggests a defining moment in our care of the Earth and its creatures. “Can you think back to a moment that defined you?” writer Eric Barton asks elsewhere this issue, in our cover story on Matthew McConaughey. The Oscar winner – one of the biggest movie stars on the planet as well as a big-time charitable fundraiser – doesn’t have many regrets. Except one, he shares, and it happened in Florida. 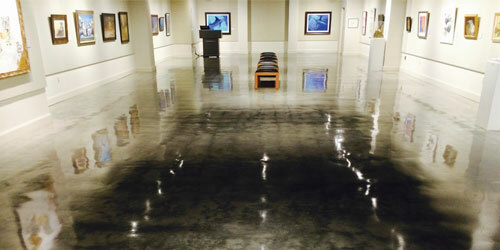 As I walk through the gallery at NSU, I wonder about our own unfinished business. About the “crumbs’’ we leave by ignoring the environmental balance of our world. Looking at the lone elephant, the Bengal tiger, the leatherback sea turtle, I wonder if they’ll always be out there. Or if they may only be in here.